I wanted to buy some daikon greens so I could pickle them in my nukadoko. 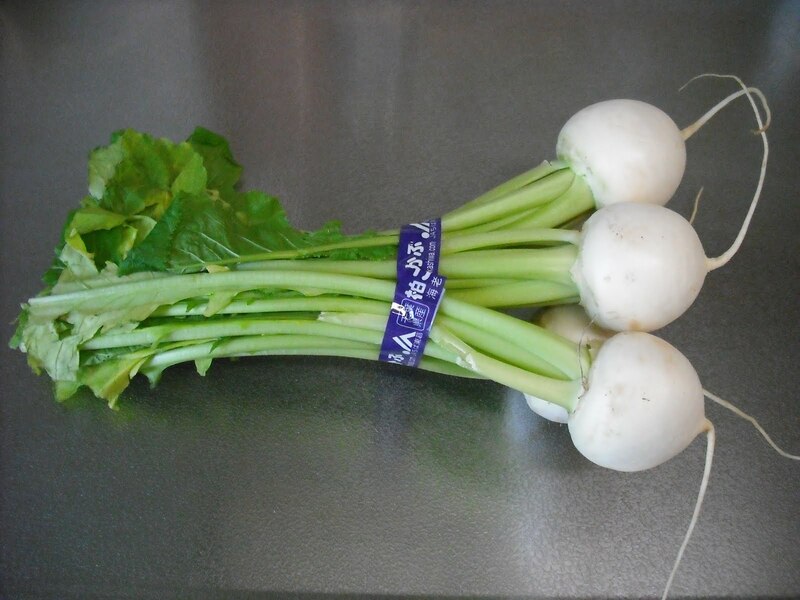 I found them sold at a supermarket that were suitable for making nameshi, but I also found turnips with greens sold cheap, so I bought them instead, hoping that turnip greens would be similar to daikon greens. Just as I expected, turnip greens nukazuke was quite similar to daikon greens nukazuke. 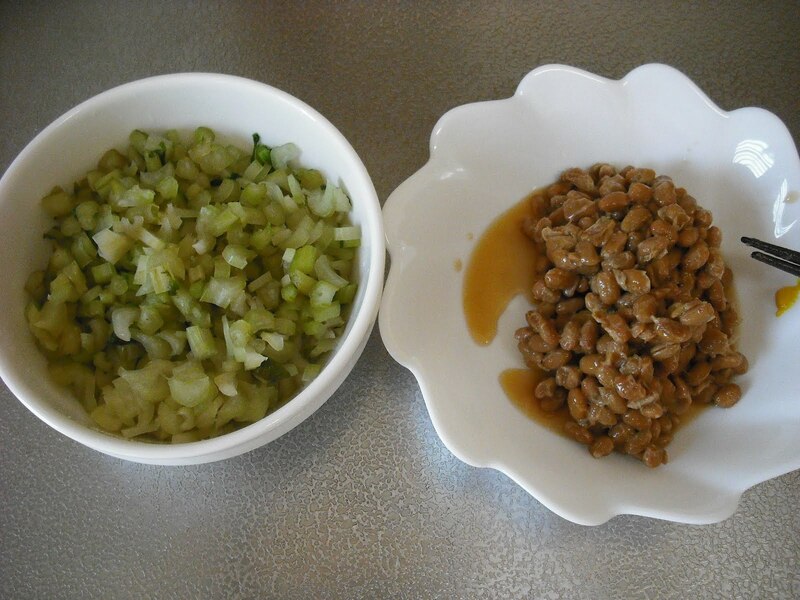 This morning, I had some with natto (by adding some to the natto and mixing well). O-hitashi, Japanese Style Spinach- Blanching Spinach with Sesame and Soy Sauce.